Monday 8th July to Friday 12th July 2019. Applications close 15th May 2019. Please contact your University AINSE Councillor to apply. 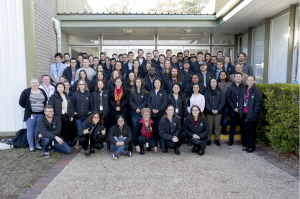 The Australian Institute of Nuclear Science and Engineering (AINSE Ltd.) offers scholarships to each of its member universities to enable a nominated student to attend Winter Schools on applications of nuclear techniques. The Schools are held at the Australian Nuclear Science and Technology Organisation’s (ANSTO’s) Lucas Heights campus, located approximately 30km south of Sydney. The scholarship is open to all senior undergraduate students to whom a knowledge of nuclear analysis techniques would be of interest. Such techniques have applications in areas ranging from agriculture to zoology, including physics, chemistry, biology, environmental science, geography, geology, and archaeology. The Winter School provides an ideal opportunity for students in their final year of undergraduate STEM studies to explore potential options for future research projects and meet potential collaborators. Using nuclear techniques in soil and ground water studies (nuclear probes for metals in soils, radioactive tracers in flow studies, pollution). Tours to inspect other major facilities at ANSTO’s Lucas Heights campus are also included in the program. A social program including networking dinners and speakers encourages students to discuss important current social issues involving science and technology. 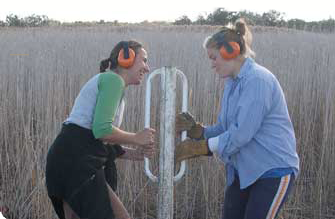 ANSTO provides for the costs of the experiments, and AINSE pays for travel, accommodation, all meals and social activities during the program. Each member university’s AINSE Councillor is responsible for coordinating the selection of a scholarship student. Feel free to contact your University’s Councillor, or AINSE administration, to find out more about the AINSE Winter Schools. Contact information for AINSE Ltd. The 2018 Winter School was the 22nd annual AINSE Winter School. It was held on the 2 July – 6 July 2018 at AINSE, Lucas Heights.